A contemporary take on the classic wind chime. 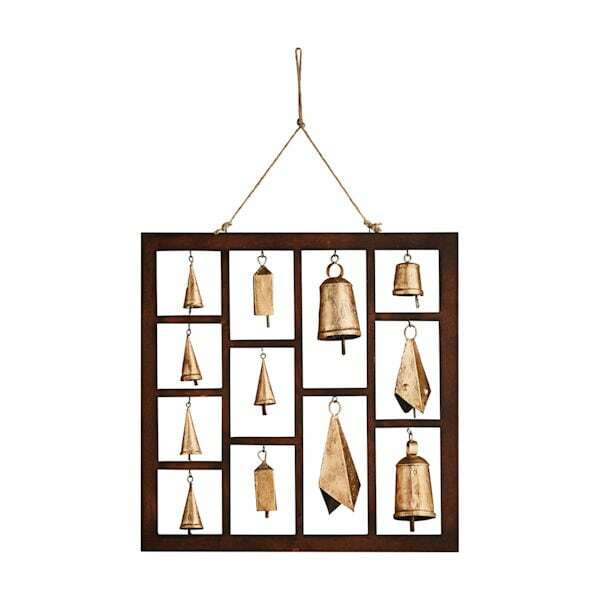 A dozen golden bells in varying shapes and sizes are framed in a grid of mahoganystained wood composite. Hang on a wall to admire, like a collection, or suspend like a wind chime and enjoy its occasional music. Display indoors or out in a protected area. 18" square. Twine hanging cord.